Utility Carts Wire 3SBP This versatile heavy-duty, multi-functional Utility Cart is constructed from industrial-strength steel. It’s ideal for use in kitchens, warehouses, garages, offices and restaurants, and simplifies the transporting of heavy and bulky loads. This steel wire utility cart is NSF certified for commercial use, equipped with beefy 1.5-inch diameter poles and is backed by a 10 year limited warranty. The ventilated basket and shelves can be adjusted at one-inch intervals and come with removable polypropylene liners, allowing for the optional storage and transportation small items. This conveniently mobile cart comes with a steel handle push-bar, four heavy-duty PVC wheels (two are locking), four protective bumpers and has an overall weight capacity of up to 500 lbs. 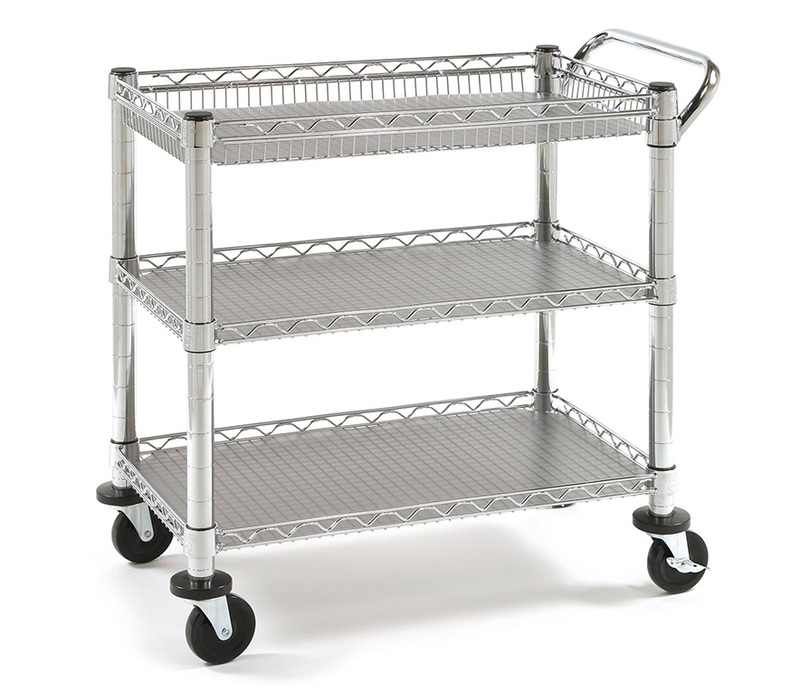 This durable cart measures 33.75-inches by 18-inches and by 32.25-inches high.